Currently, due to strong Chinese government censorship including Internet censorship, the news-media is forbidden to report anything related to the protests. The event has been almost completely absent from Chinese media, including the Internet. No one is allowed to publish any websites related to the protests. 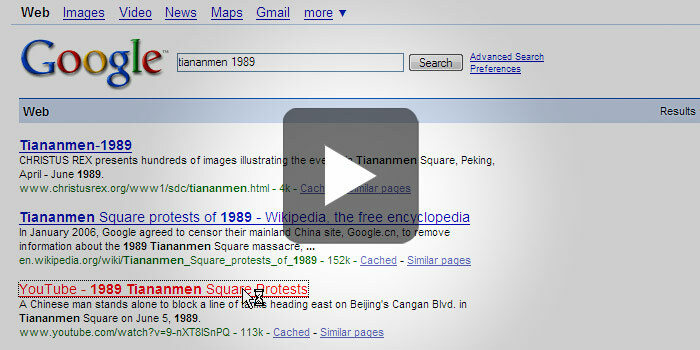 An internet search in Mainland China largely returns no results. 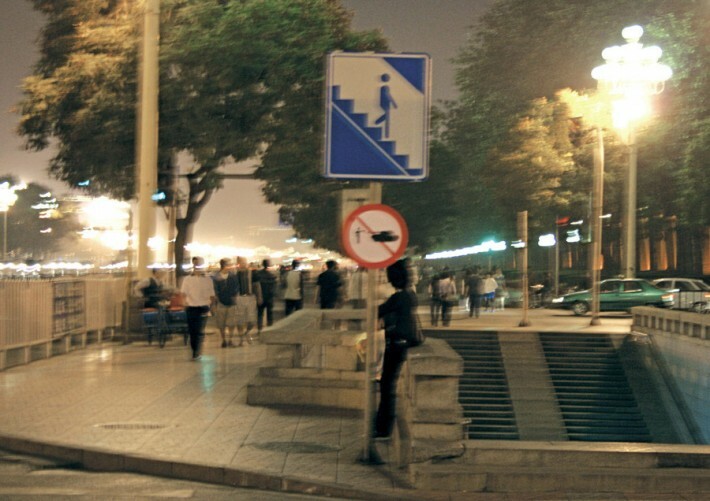 It is common for Chinese people to be entirely unaware of the Tiananmen protests. 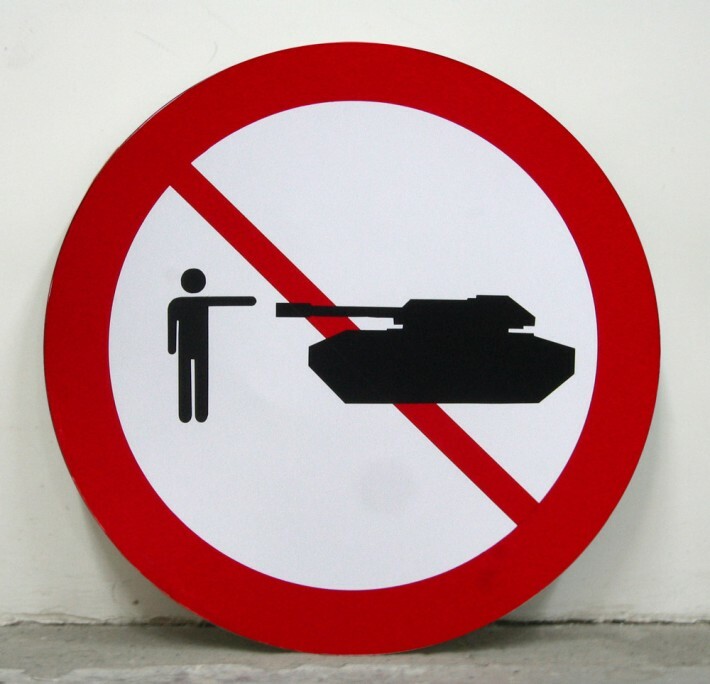 The sign refers to the famous ‘Tank Man’, the anonymous 17 year old man who stood his ground and stopped a column of tanks as the army invasion began. The sign was surreptitiously installed on the main avenue at the east end of the square. 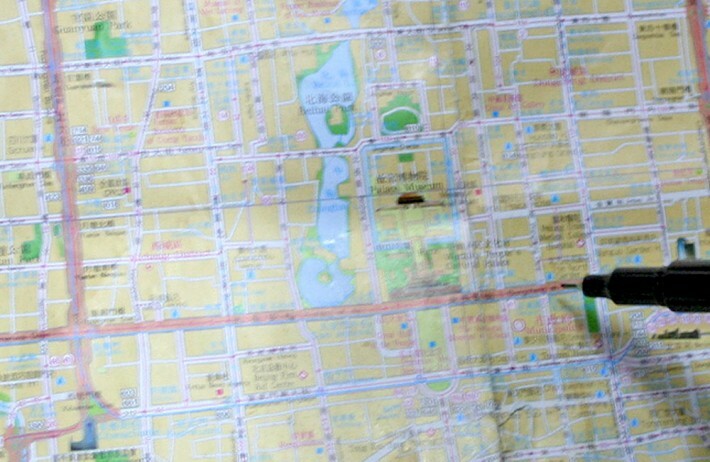 At once I was stunned by the immensity of China and the kindness of its people. While in residence I despaired at a flawed social structure and rampant centralised censorship. As an outsider stuck between the two realities I felt an overwhelming responsibility to add commentary. One small protest can spiral into a mass-demonstration. A fact not lost on the intense military presence in the area. Raising this sign was one of the most terrifying experiences of my life.